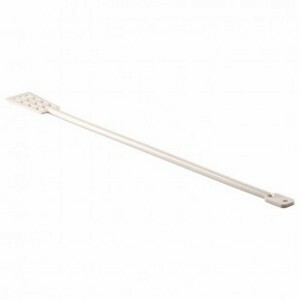 28" Plastic Paddle - Texas Brewing Inc.
Food grade plastic paddle can tolerate contact with boiling temperatures. The smaller end fits into carboy necks. Strongly recommended for use with plastic fermenters and bottling buckets to reduce the risk of scratching.